Designed for exceptional accuracy, comfort, and control! The Surface Precision Mouse helps you stay in your flow with flawless scrolling and three customizable thumb buttons. 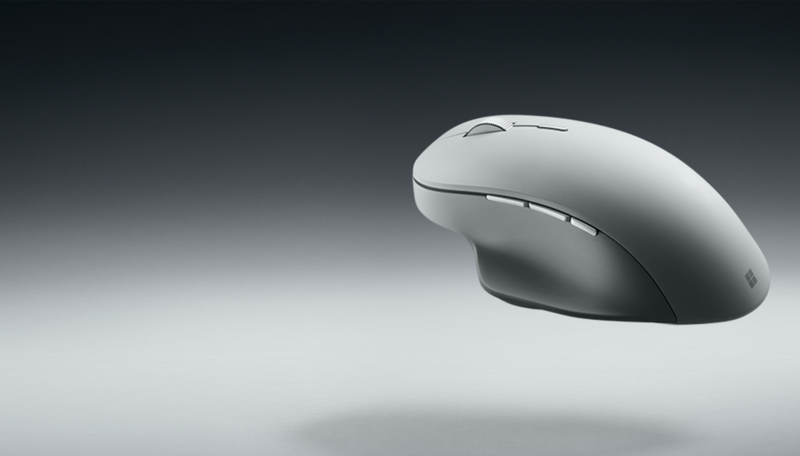 dimensions 1.7" x 3.1" x 4.8"
Introducing the new Surface Precision Mouse. 1 Customization not available on devices running Windows 10 S or Mac OSX. 2 Smart Switching not available on devices running Windows 10 S or Mac OSX.